This gorgeous community in Friendswood features a lake, natural walking paths and a 2-acre park. Magnolia Creek Golf Course and Timber Creek Golf Course are nearby as well! 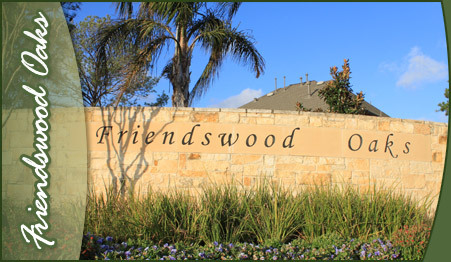 Home to outstanding ClearCreek ISD, Friendswood was also voted as one of Money Magazine's "Best Places to Live", making it an ideal place to call "Home".